Product code: 1071 Categories: Sold Items, Sold Rings. 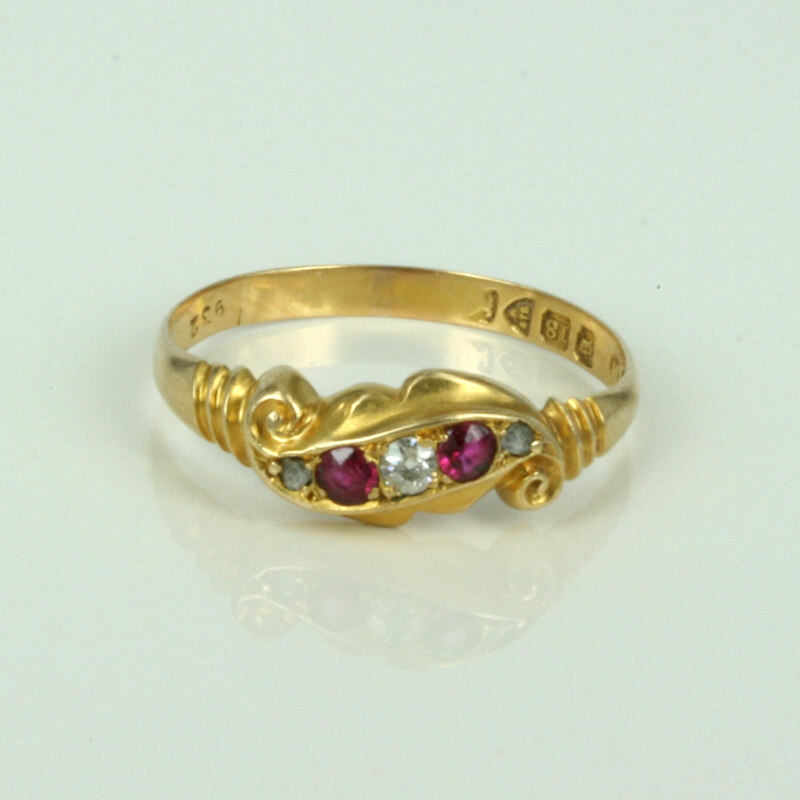 Here is a very attractive antique ring made in 18ct gold, set with rubies and diamonds and for less than $1,000, showing that antique jewellery including antique rings, don’t have to be out of reach for alot of people. Set in a very nice design with 2 lovely red rubies and 3 diamonds, this ring can be easily worn every day with no problems at all. Dating from the late 1890’s, this would be a great ring for someone getting into or adding to a collection of antique jewellery.